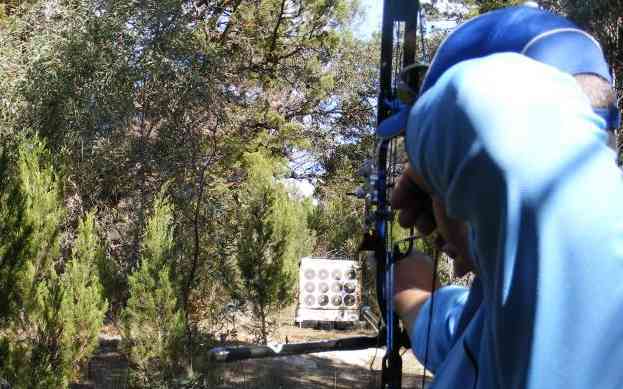 Great Southern Archers' Field Course is one of the largest in South Australia with 36 targets spread over 20 acres covering ranges from 10 to 60 meters. The variety of terrain and targetting challenges make this a course not to be missed. Field shoots are generally held twice a month and start early. Please see the calendar for exact timings. 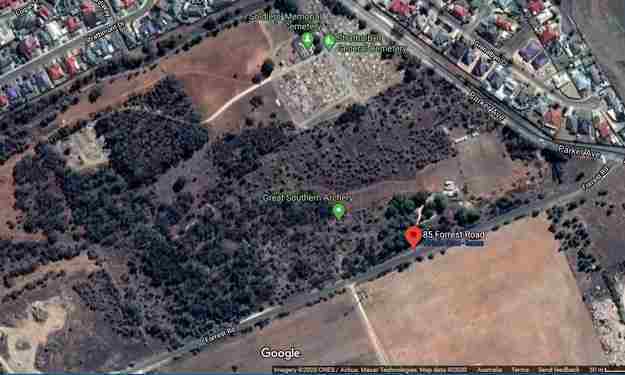 Great Southern Archer's target range is loacted on our outdoor field at 85 Forrest Road Strathalbyn approximately a 50 minute drive south east of Adelaide. The range boasts 12 firing lanes so there is no waiting. Ranges from 10 mto 70m are offered on all lanes and 5 of these can fire out to 90m subject to special arrangement. Target shoots are held on every Saturday setting up from 10am for shooting at 1030. If you want to hire any Club equipment (bows, etc) then you need to book on the shoot calendar. Please see our calendar for details. Club members can also use the target range at any other time, 7 days a week. 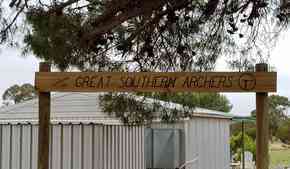 Great Southern Archers' indoor range is loacted at the Goolwa Goolwa Sports Stadium, Glendale Grove, Goolwa. Shoots are generally held the 3rd Monday evening of each month starting at 7:15 PM. Please see our club calendar for details. Field, Indoor and Target, and we welcome all types of bows - Recurve (Olympic) , Compound, Longbow and Crossbow. Our members cover all age groups - juniors, men, women, masters and veterans. 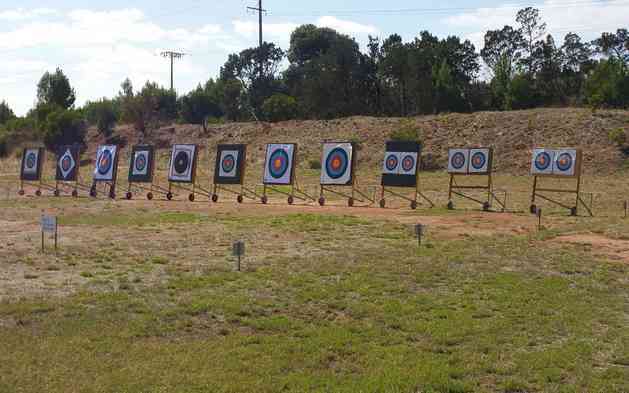 The outdoor range is located at 85 Forrest Road Strathalbyn, approximately 50 minutes drive south east from Adelaide, South Australia. The range is available to members 7 days a week. The main shooting day is Saturday with setup from 9:30 AM and shooting at 10.00 for target and field. Indoor archery is held on the 3rd Monday of the month with setup from 7 PM for a 7.15 PM start at the Goolwa Sports Stadium, Glendale Grove, Goolwa - about 85 km south of Adelaide. 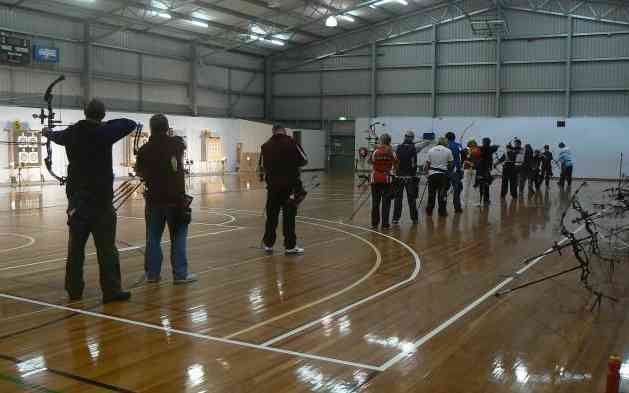 Australian Archery Alliance members are welcome to participate in scheduled shoots as detailed in the calendar. The club dates from about the early 1980s and has operated out of various locations. The founding members were Graeme & Lorraine McVitty, David Percy and in particular, our Life Members Rob and Helen Fairweather. These pioneers started and ran an archery club through some pretty tough times and strong opposition to the idea of having an archery club in Strathalbyn. 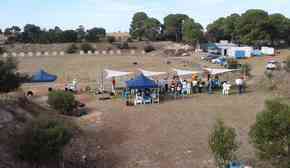 The club has had several names over the years including the Strathalbyn District Archers and was originally affiliated with the Australian Bowhunters Association. Today we are officially Strathalbyn Target Archers Incorporated trading as Great Southern Archers, and are affiliated with Archery South Australia and Archery Australia.